In order to win a Michigan Driver’s License Restoration or out-of-state Clearance case, a person must submit both a current Substance Abuse Evaluation and 3 to 6 Letters of Support. This article will examine the importance of these Letters, and how and why they play such a critical role in the whole License Appeal process. On my website and in an earlier article on this blog, I noted that in order to actually get all the essential information that’s supposed to go into the Letters of Support in them, I take a very active role in editing and revising each and every one. The Letters of Support play a “structural” role in the sense that, if they don’t hold up, the whole License Appeal collapses with them. Whereas the Substance Abuse Evaluation is like the foundation upon which a successful Michigan License Restoration Appeal is built, the Letters of Support are the equivalent of its walls. A colleague of mine once put it best when he said that the problem with most Letters of Support, even if you provide the Client with binder full of samples to have their writers follow, is that they all turn out to be “good guy” letters. In practice, a “good guy” letter isn’t worth the paper it’s printed on. Being a good person brings no evidentiary value to a Michigan Driver’s License Appeal. And for what it’s really worth, “sample Letters” aren’t of much use, anyway. While they can help guide a writer with some general ideas, such generalities invariably omit the specifics of a person’s Recovery story that is unique to them, and useful to their case. To complicate things further, while the Support Letters should overview a person’s “Recovery Story,” that synopsis should be kept short, and be concise. The letters should be just the right length. The question then becomes “what’s the right length?” The answer is simple; it depends. This is where my role becomes important. The relationship of the writer to the person who is the subject of the letter is generally key to the length of the letter. A Support Letter that begins by saying something like “My name is Jane Doe, and I am John Doe’s mother. I have known John all of his life…” can surely go into more detail, and therefore be longer, than one that begins by indicating “I am Joe Blow, and I have know John Doe as a co-worker and friend for about the last year….” With that in mind, I will review the letter in both the context of the relationship of the Letter writer to my Client, and what useful information the Letter contains in order to decide its appropriate length. It goes without saying that’s it’s easier to shorten a letter than it is to add length to it, so I’d rather review a draft letter that’s longer, and has stuff for me to edit out, than one which is too short, and needs some more “meat.” Yet the “editing out” of information involves a lot more than just cutting out irrelevant or redundant material. Often, in an attempt to be helpful, a letter writer will editorialize well beyond the scope of objective observation. While their intentions in doing so are good, the writers invariably cause more harm than anything else. From the State’s point of view, if Larry is telling the truth, then he doesn’t know Sam very well. Does this mean that Sam keeps things from Larry? After all, the State sees Sam as clearly having an alcohol problem. To the extent Larry minimizes that, it means Larry is either in the dark about the true nature of Sam’s drinking, or, if he is being less than perfectly accurate, then Larry is putting what he hopes will be a helpful “spin” on things for Sam. Whichever is true, the State will back away from such a Letter and conclude that Larry either did not have complete knowledge about the extent of Sam’s drinking, or he’s trying to paint an extra-rosy picture for Sam’s case. Either way, he lacks the necessary credibility to be a good witness, so his Letter will provide little help to Sam. The State makes clear that it wants Letters from a “cross section” of people who know the person trying to win back their License. This means family, friends, co-workers, neighbors, and, if a person does go to AA, other AA members, as well. In a perfect world, a person would provide a letter or two from someone in each such group. In the real world, we often find that some people, once they quit drinking, become a “home body,” while other’s hang out with lots of new AA friends. Other people may not be comfortable letting anyone at work know that they’re in Recovery. The point is that, while we aim for a wide “cross section” of Letter writers, reality most often dictates that most Letters come from only a few corners of a person’s life. That’s okay, as long as all of the letters don’t’ provide the same information from the same perspective. Once in a while, I’ll see this happen when a person hands me about 4 letters from AA friends. By about the 3rd letter, we are hearing nearly the exact same thing again: Sober Sam is dedicated to his AA program, helps out at meetings, and is committed to working the steps. The State will have no trouble believing that Sam does, in fact, attend meetings, and it will have no doubt that he contributes and talks about working the steps. But without Letters from other people in his life, the State is left to wonder what Sam does with the rest of the time he’s not at a meeting. In my position as the Driver’s License Restoration Lawyer, I will take control of the case from the very beginning, and beyond just editing the Letters I am provided, will tell my Client that we have too many from one sector (AA people, or family) and not enough from others (friends and/or co-workers). With more than 22 years’ winning experience backed up by a Guarantee, have no trouble telling my Client exactly what we need to do better, and I’m not shy about making the necessary changes to the Letters I review. I put together winning License Appeals, and I’m not about to blunder into a loss because of less than perfect Letters of Support. Without fail, when I give my Clients the revisions I make to the Letters they’ve given me, they’re grateful for my feedback, and not angry or impatient. If I was too timid to make the necessary changes, I wouldn’t be confident enough to offer a first time win Guarantee. Even if I could post some of the best of the thousands of Letters I’ve edited and used to win License Appeal cases, they’d still need to be tailored to fit the individual circumstance of any particular Client’s case. 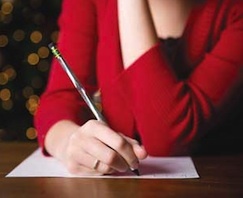 The Letters of Support are, after all, part of a person’s “Recovery Story.” As such, I review each and every letter in painstaking detail, and correct and edit and revise them to fit the unique circumstances of the person’s case and to make sure they help our case, and contribute accurate, helpful and relevant information. Doing this takes a lot of time, but the results speak for themselves. The Letters of Support are extremely important to a License Appeal. Making them “right” depends in large part upon a person’s actual Recovery Story. Every License Appeal is as different as the person filing it. My job, as the Lawyer, is to take into account the myriad factors presented by each person’s life story, including their Recovery Story, and those who have participated in or witness to it, and make sure that each of the Letters of Support does, as well.